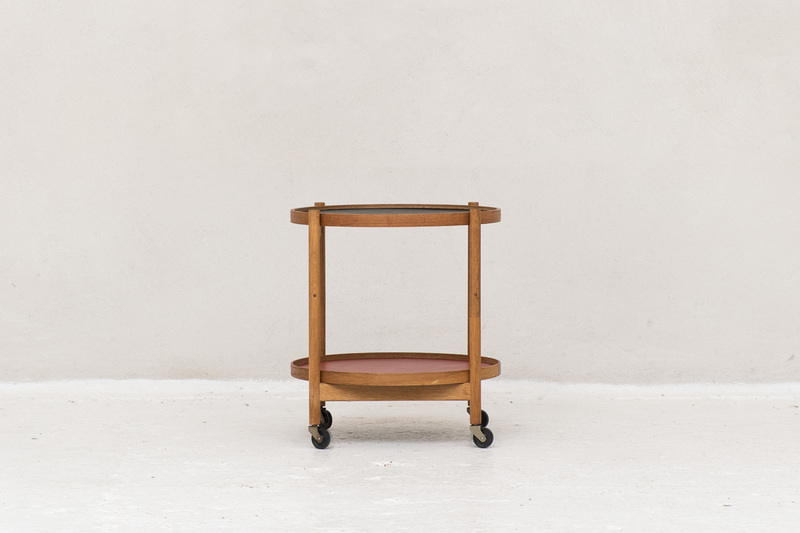 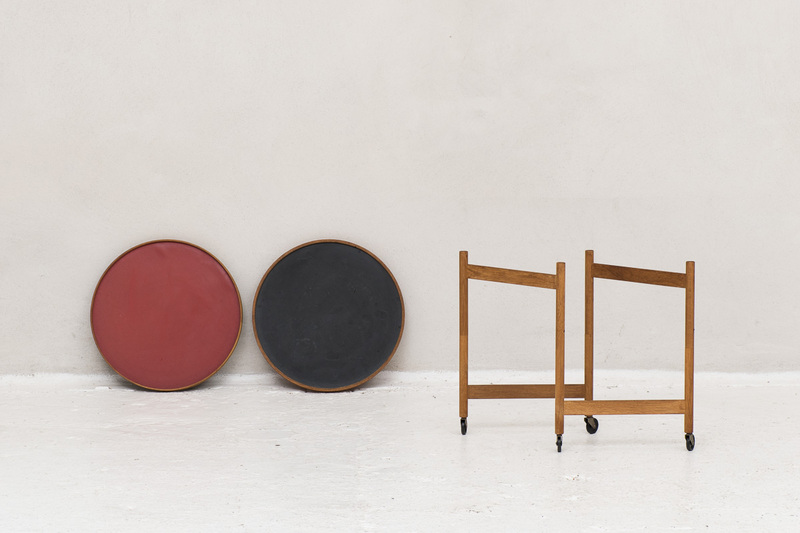 Foldable trolley designed by Hans Bolling and manufactured by Torben Orskov & Co in Denmark in 1960. 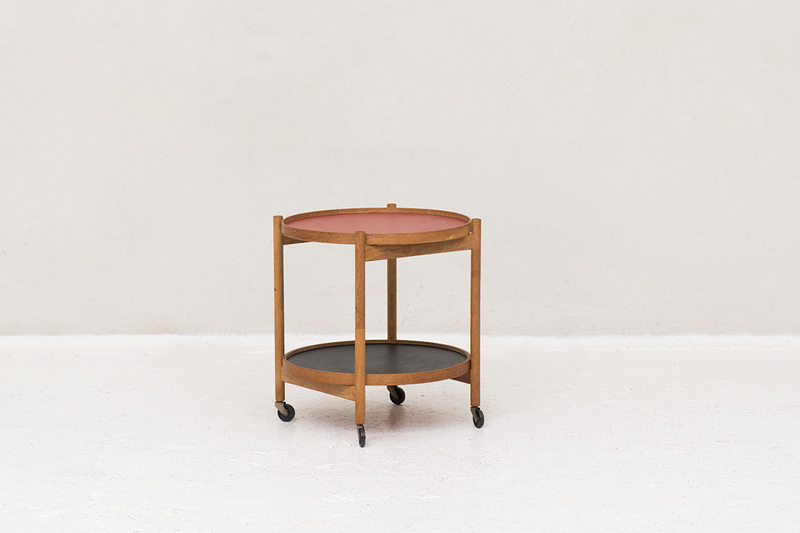 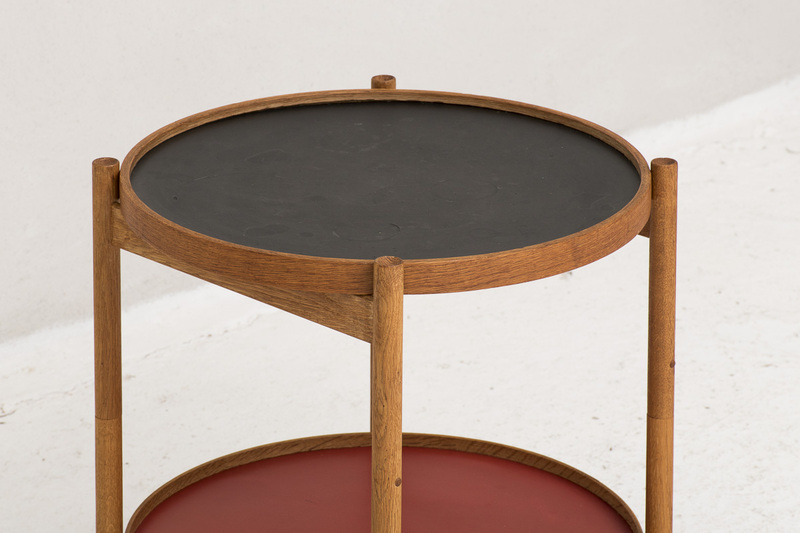 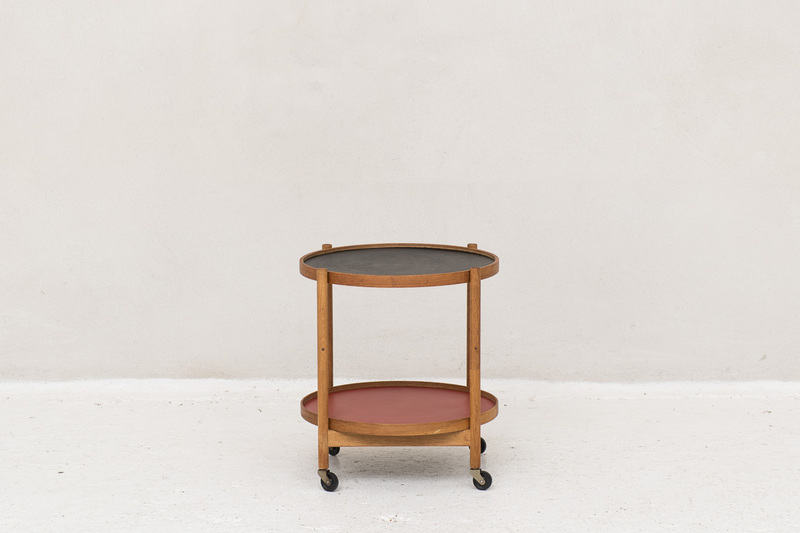 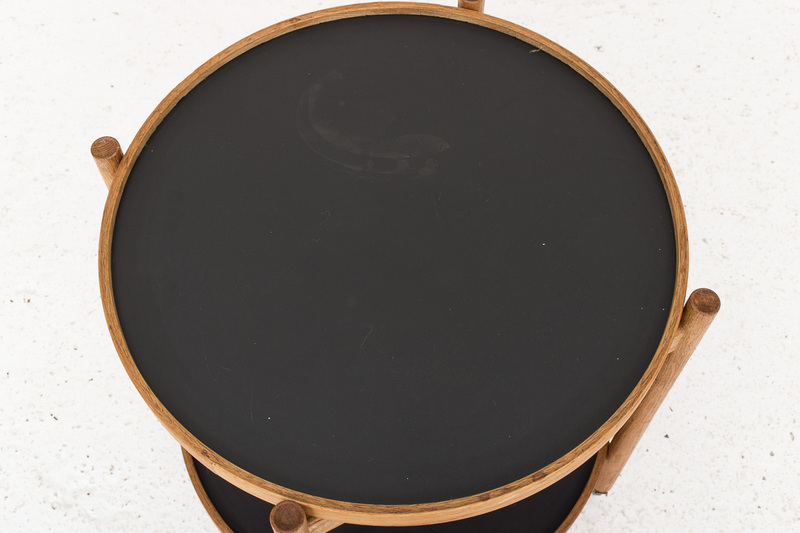 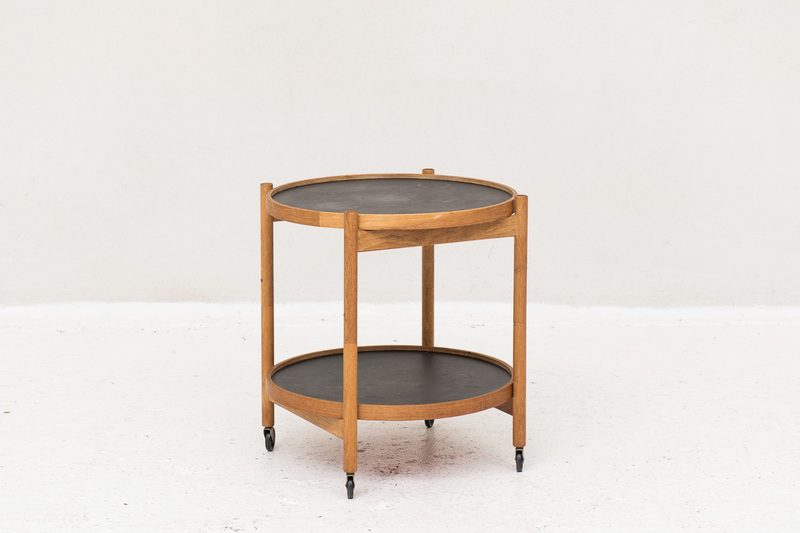 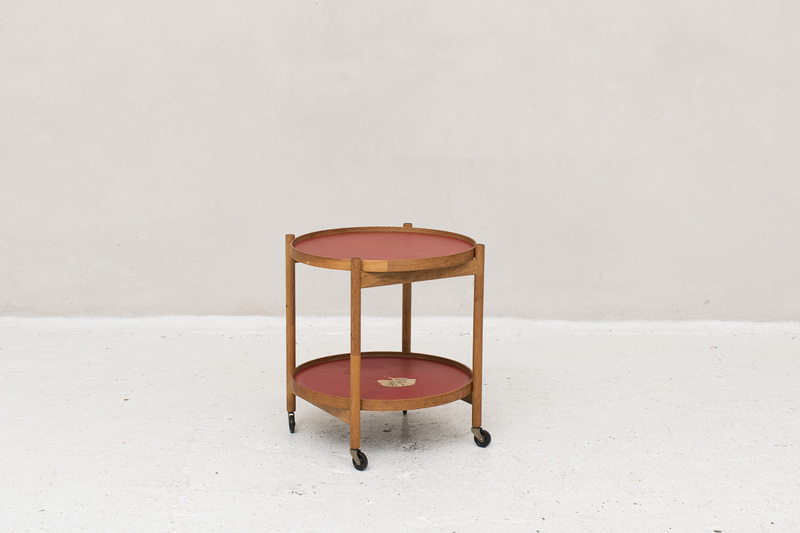 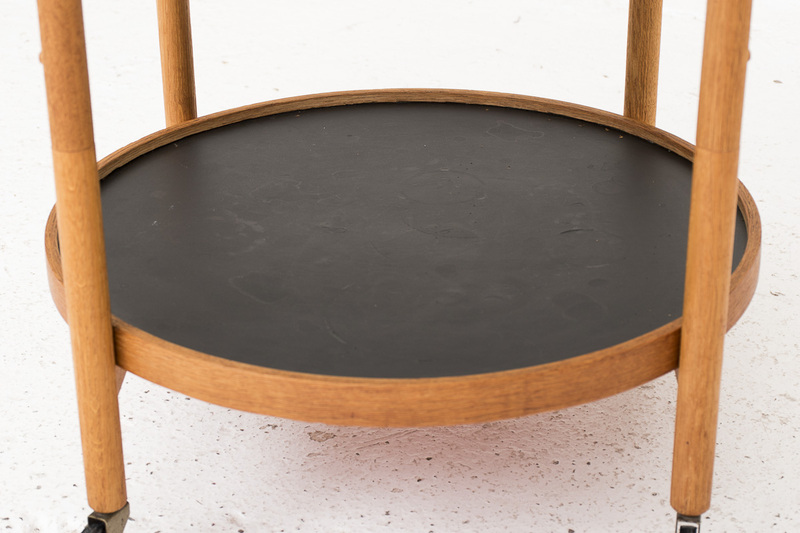 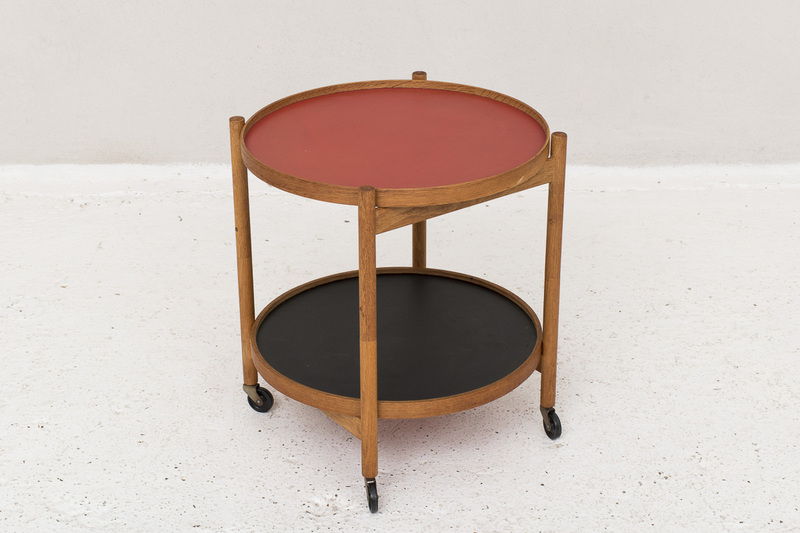 This trolley is foldable and can be used as a side table or serving cart. 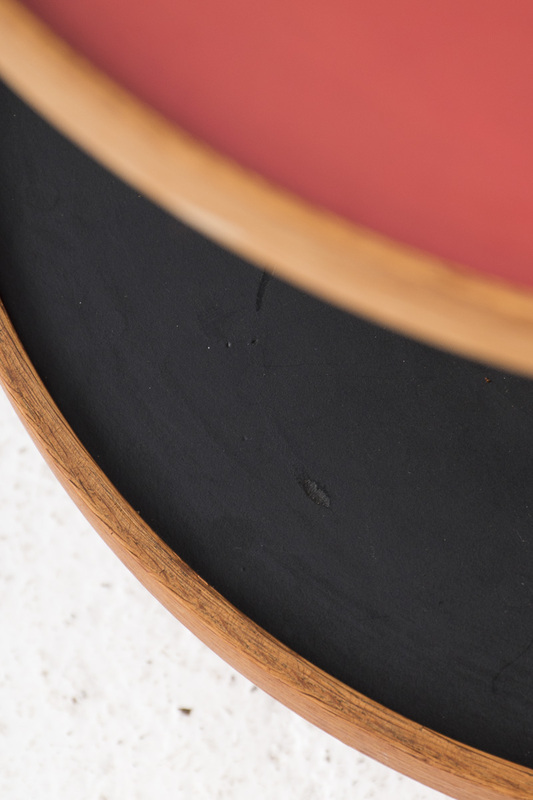 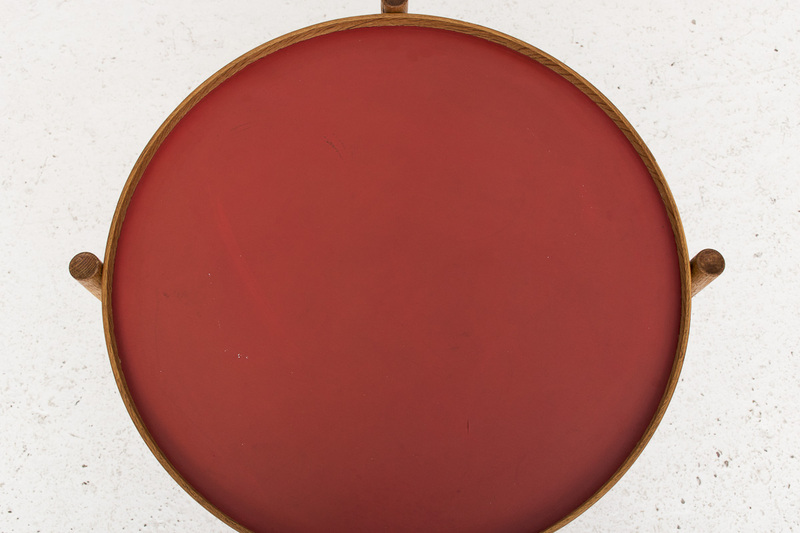 It holds two trays in black and red colour that can be taken out. 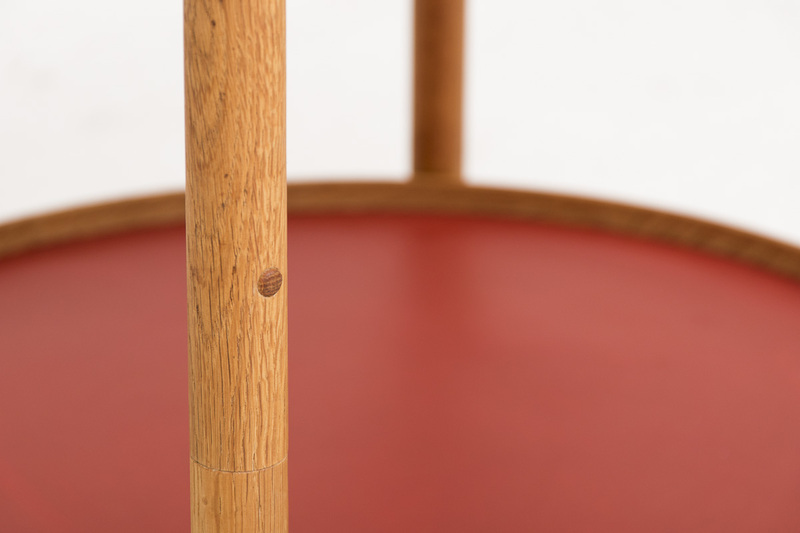 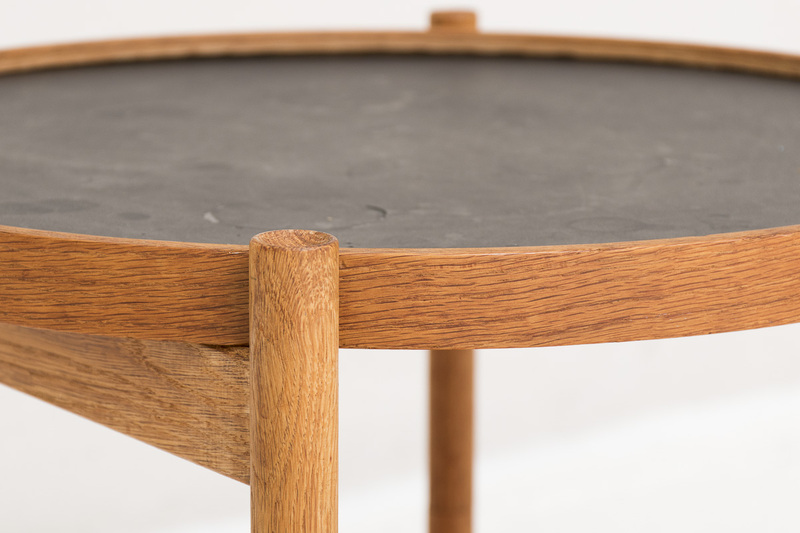 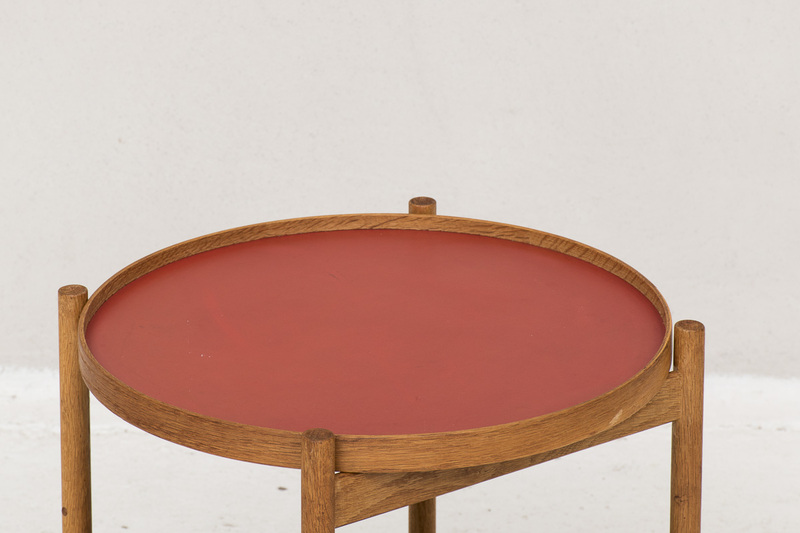 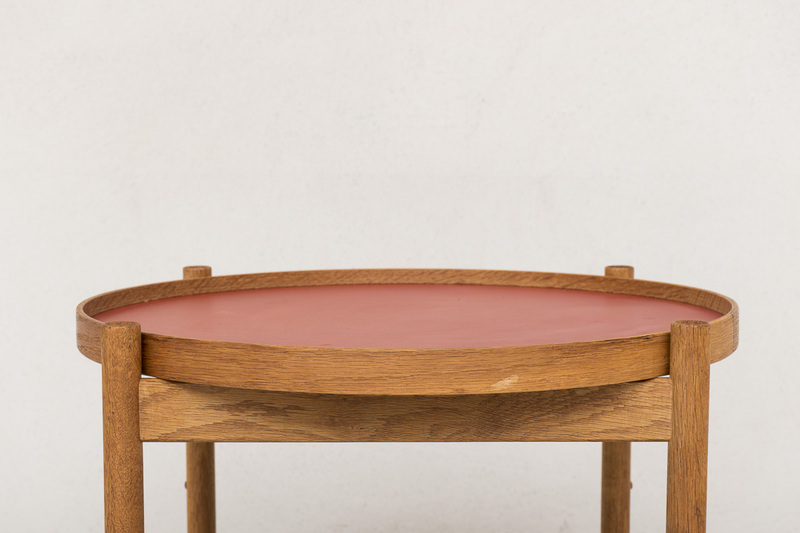 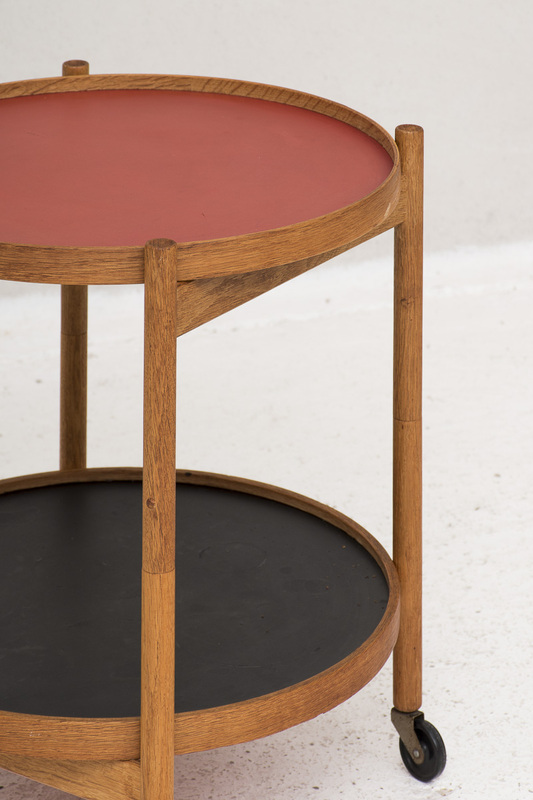 The frame in teak is finished with exposed wooden peg joints. 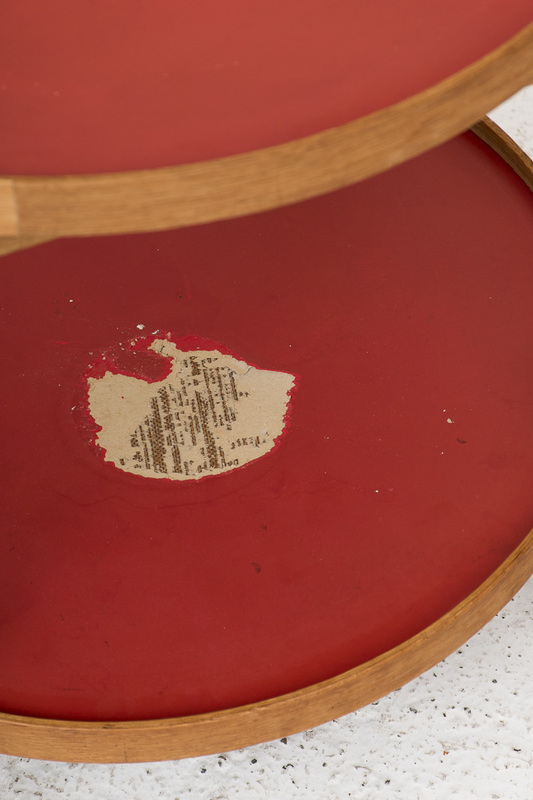 This trolley has some wear on the underside of the trays as seen in the pictures.